The Alaska National Wildlife Refuge. Photo by Matt Kearns. Manchin votes to open Alaska National Wildlife Refuge for drilling. In an effort to offset $1.4 trillion in tax cuts, Congress is looking for ways to boost revenue. The Senate Energy and Natural Resources Committee approved opening the Arctic National Wildlife Refuge to oil exploration, saying leases and royalties would bring billions of dollars. Senator Manchin was the sole Democrat to vote in favor of drilling in the refuge. You can let Senator Manchin know what you think of this vote by calling his DC office at 202-224-3954. House passes controversial forest bill. The “Resilient Federal Forests Act” allows for salvage timber operations virtually anywhere in a national forest, curtails public involvement in forest planning, and limits the requirements of the National Environmental Policy Act. All three WV representatives voted to approve the measure, which now moves to the Senate. Eleven volunteers from around the state gathered in Fayetteville on November 11 for a workshop on volunteer leadership for public lands. They learned how volunteer leaders can lift and sustain public lands efforts over the long haul, diving deep into topics like “organizing theory” and tactics, and methods for using personal stories to catalyze others to act. The group’s experiences ranged from new activists to folks with extensive experience in campaigns. Heading home to Wheeling, Marlinton, French Creek, Charleston, and Morgantown, leaders left energized to organize in their communities. Some have all ready started their projects! If you are interested in becoming a volunteer leader in your community, please contact Megan Hamilton at mhamilton@WVRivers.org. Canaan Valley National Wildlife Refuge. Photo by Kent Mason. Some of the strongest voices for WV public lands have been our outdoor recreation and tourism businesses leaders. WV Rivers Coalition gathered several leaders together on October 30 to explore ways to activate the business community for public lands. The crew received a policy briefing, training on how to engage Congress and their staffs, and learned about business networks supporting public lands in other states. They formed a steering committee, which will invite other businesses into the effort. The group is looking beyond the outdoor industry and tourism providers; they also hope to involve businesses like music venues, brew pubs, and others that serve public lands enthusiasts as part of their West Virginia experience. If you represent a business that would like to be involved in this effort, contact Dave Bassage at dbassage@WVRivers.org. The West Virginia Chapter of Sierra Club has a long history working for public lands. 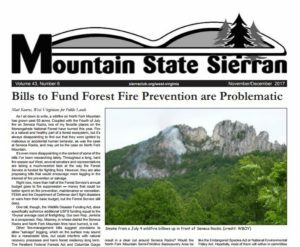 WV Sierra Club works on a broad range of issues from energy efficiency to climate change to air quality — and, of course, public lands, on which Sierra Club was founded in 1892 by conservationist John Muir. 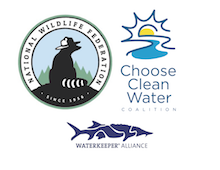 WV Sierra Club is a co-founder of WV Wilderness Coalition, which led the successful “Wild Mon” campaign to designate new and expanded wilderness areas in the Monongahela National Forest, and has been a champion for the Birthplace of Rivers National Monument. WV Sierra Club also has provided critical funding to staff and support the West Virginians for Public Lands alliance.